Just wanted to quickly let you all know what that our book is part of Amazon's 12 Days of Kindle promotion and is currently only 99p! 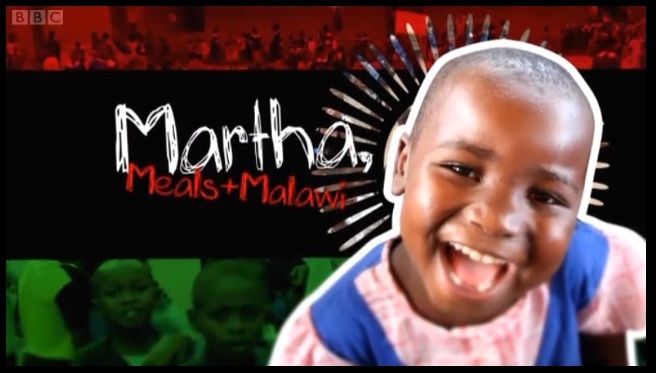 Same support to Mary's Meals so grab a bargain for you and your friends whilst supporting Martha's favourite charity. A Christmas Thank you message! I started recording this on my camera then found out that on JustGiving you must use a webcam! Here is the link. The BBC has updated our documentary and it is being shown this weekend on BBC1 Scotland on Sunday at 5.30pm and also on the BBC News Channel and on BBC World on the 26th December. OK. I will now announce the results! 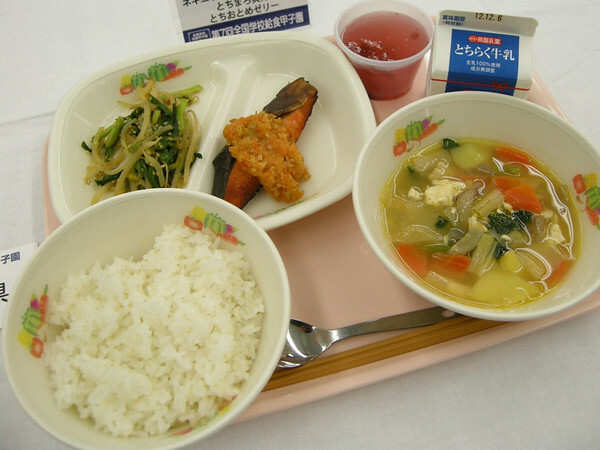 Aichi won the Victory for the The School Lunch of the Year in Japan (Kyushoku Koshien) in 2012. Defending champion, Wakayama finished second prize this Year. I was surprised that David tweeted "Wakayama and Aichi scored " after I posted the latest report. I have checked all of plates on site. 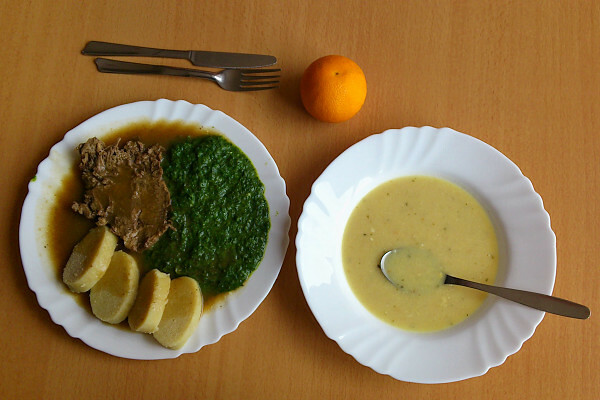 I also have tasted these menu. Then, I guess who will win. But that expectation was ill-founded. Green Tea Flavored Rice Cake Stuffed with Bean Jam, and Milk. Can you pick the winner? Tweet your answer to @NeverSeconds! Long time no see. Doni is back here. How are you doing? 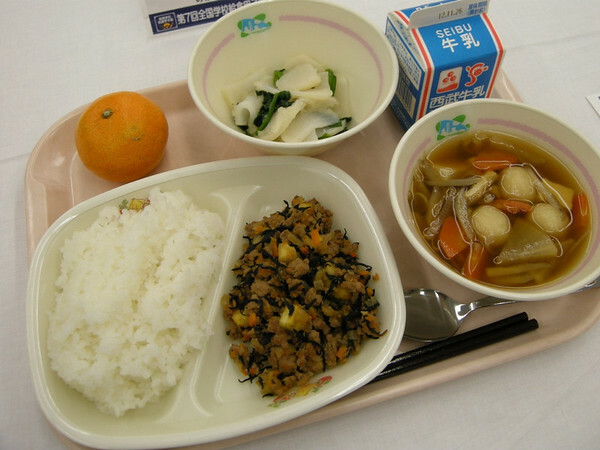 There is school lunch news from Japan. 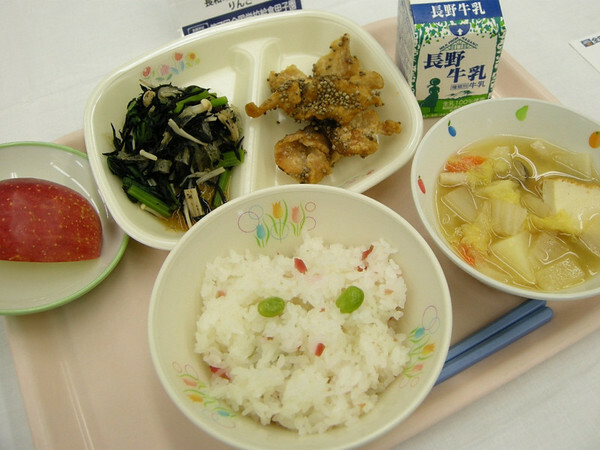 Do you remember I tell you before about school lunch cooking contest? The competition namely "Kyushoku Koshien" (学校給食甲子園) was held in Tokyo last Sunday (2nd of December). Winter is really here. I find it hard to get up early on cold mornings. 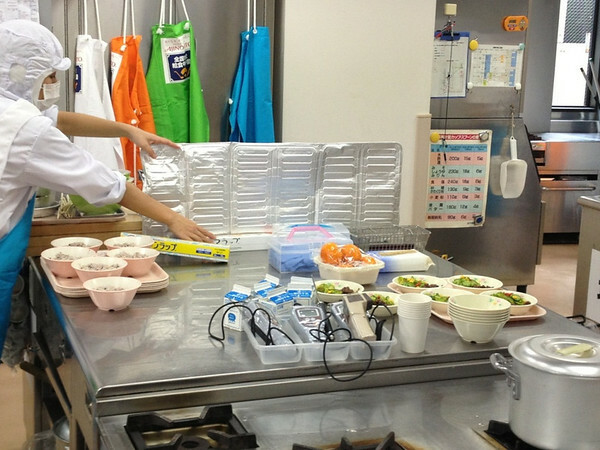 But Totally 12 schools and central kitchens cooked exciting at the competition. 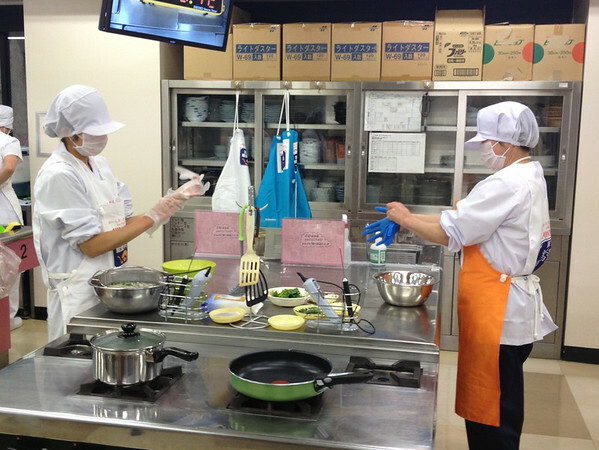 2271 schools and central kitchens from all over the country applied for the contest. And 12 schools and kitchens passed the preliminary screening for finalist. 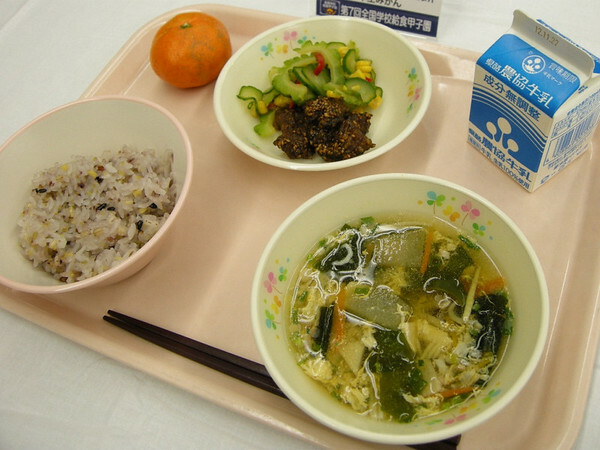 -It has been used as a teaching tool live food and dietary education. 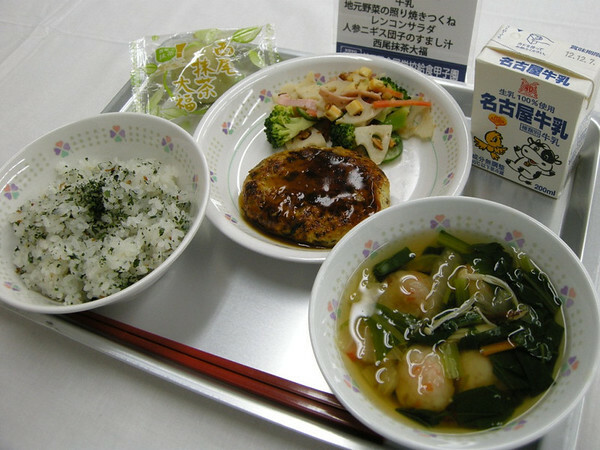 -Nutrients and amount (in the case of elementary school students and volume for middle grade) that is correct. Guess what they are doing. They are washing their hands. Yes. It is normal. 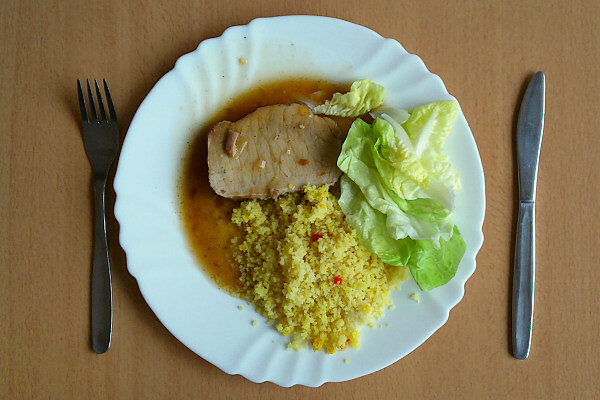 We should wash our hands before cooking and eating. And then, how long does it take to wash hands? They should take 2 minutes. I worry that washing will chap their hands. You can see there are four colored Aprons hung on the wall. 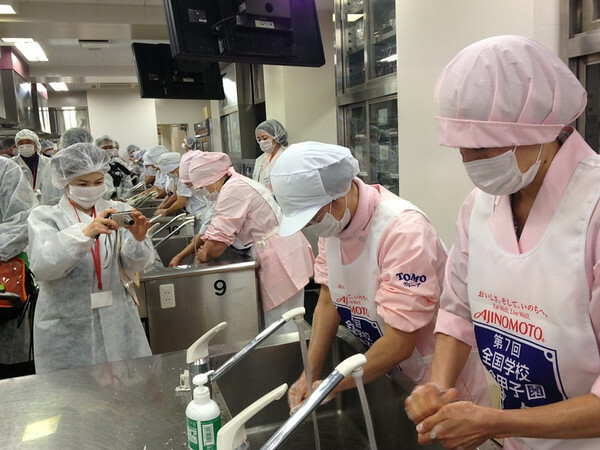 Each colored apron is used separately depending on the cooking process. And also you see some thermometer on the table. That is inserted into the center of a roast. 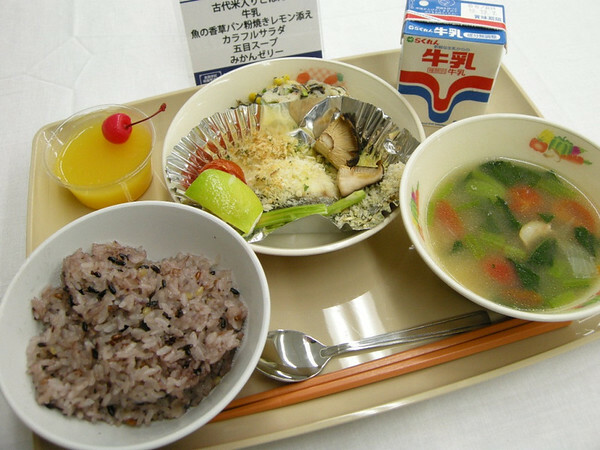 It should be checked once the required temperature in food has been obtained. Sometimes, they also change gloves depending on the process. 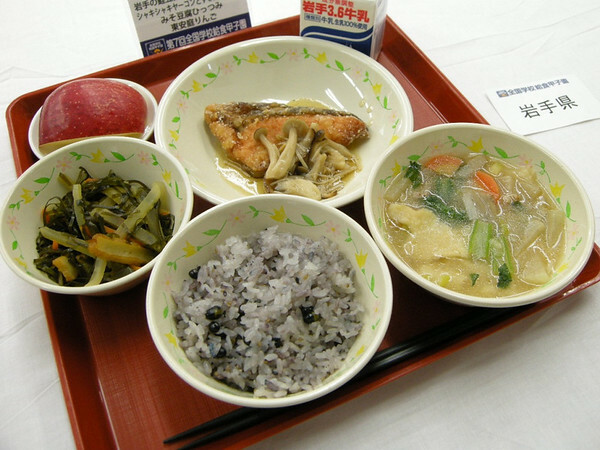 It is our standard sanitation management process for school meals based on HACCP（Hazard Analysis and Critical Control Point). And all things of the above are in order to avoid food poisoning. 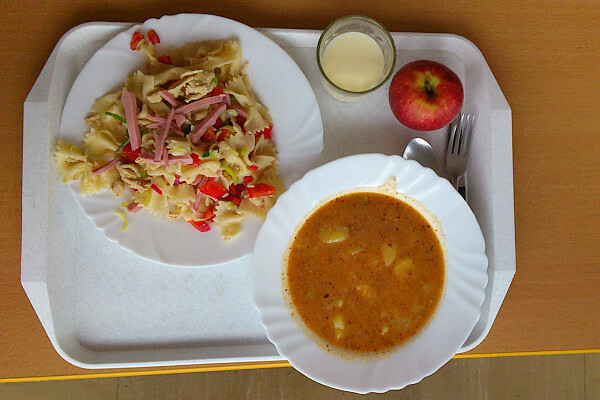 As you might know, every children must eat same menu and plates in average public schools. 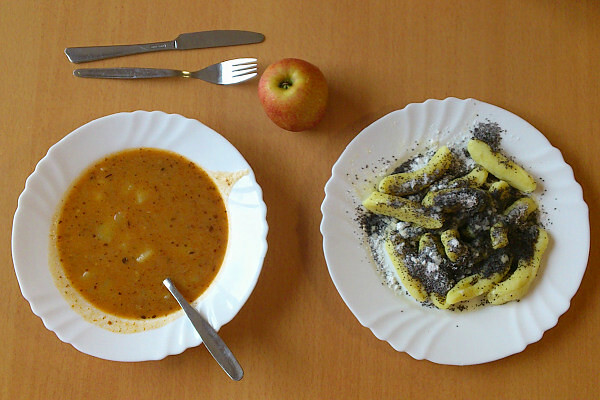 It means there is no other alternative for their lunch. 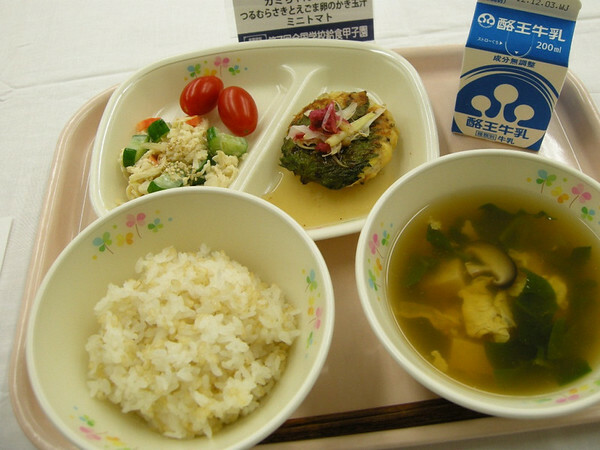 Therefore, to prepare school lunch , the most important thing is to prevent food poisoning. Have I kept you waiting? 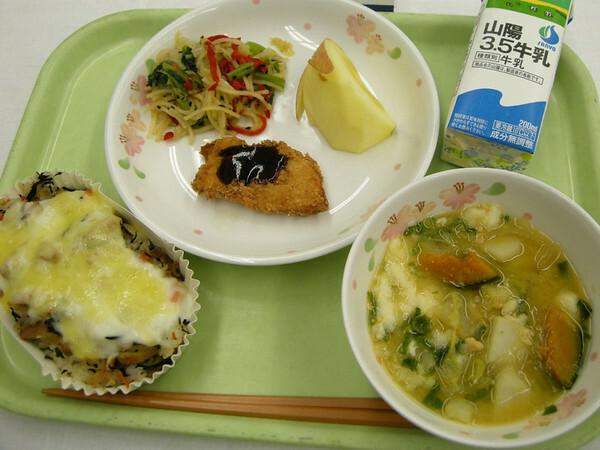 Let’s see school lunches of finalist for School lunch of The Year 2012 in Japan. 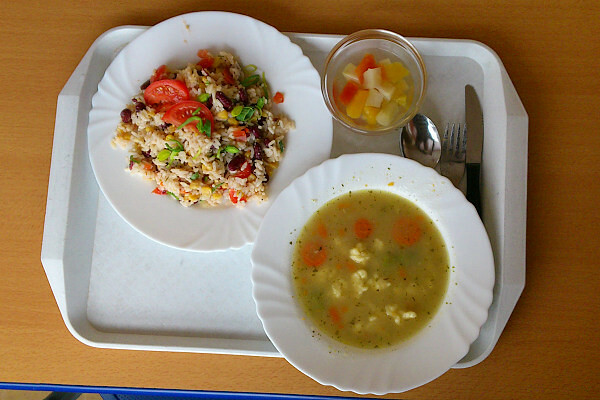 It’s very interesting to read your blog about school food and to see what pupils eat at various places in the world. 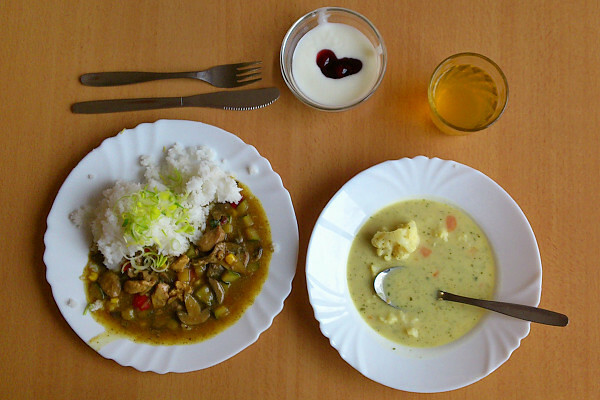 We think you have done great work with Mary’s Meals. Congratulations to the Liberty Human Rights Awards! 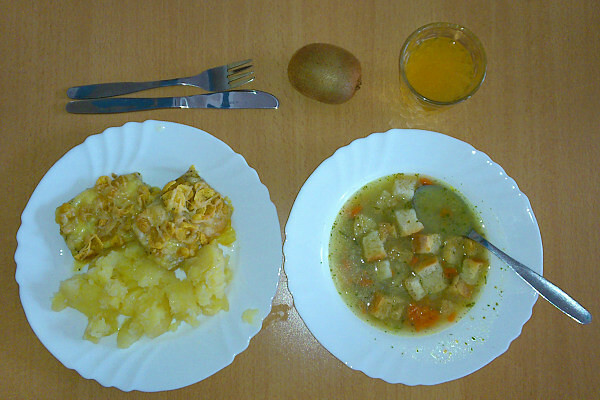 have a choice of two meals except of Tuesday. 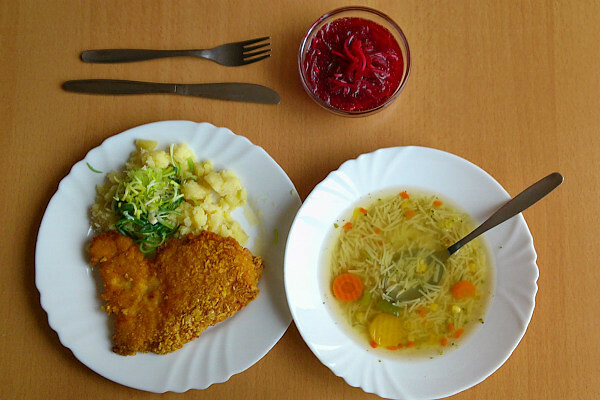 Every day there is always a hot soup, a main course and a drink. 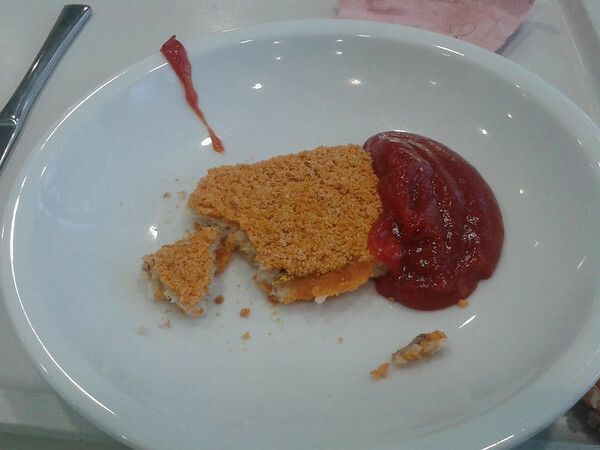 Sometimes there is a dessert, salad or fruit. 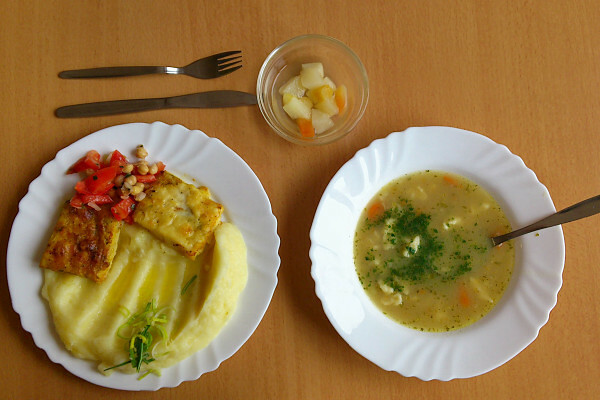 The price of the meal is 24 Czech crowns, that means £ 0.75. 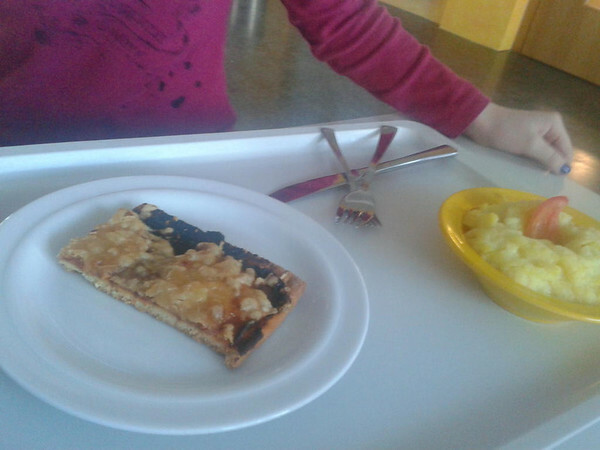 Some children like school food and some not. 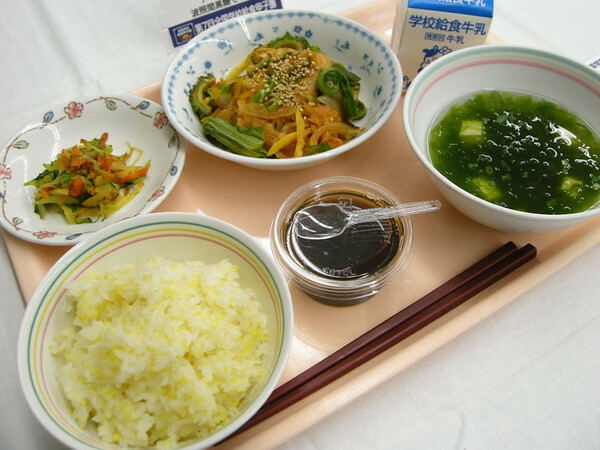 Some children don’t like vegetables or meal they don’t know. 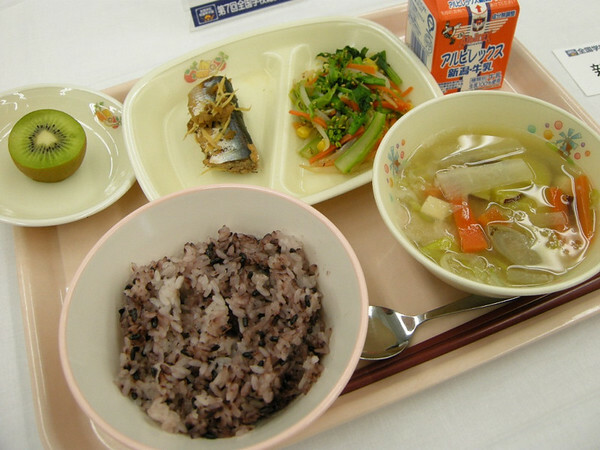 School food is regularly controlled by state authorities. 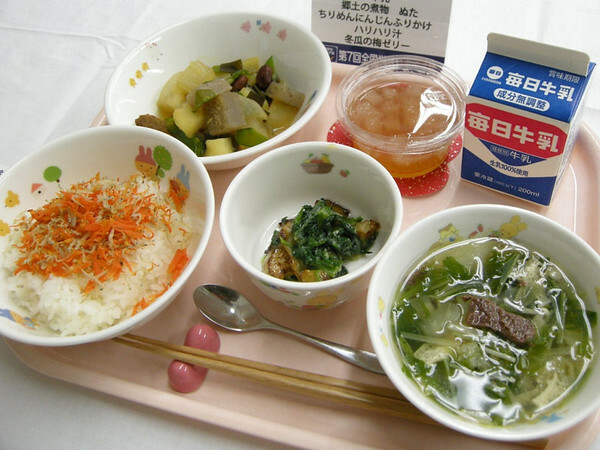 We learn about proper food at school and this year we have lessons of cooking.